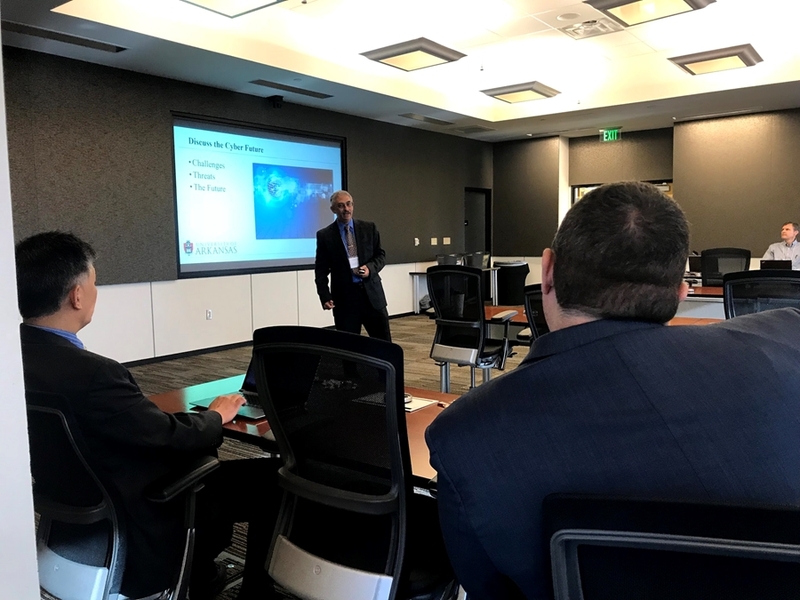 The Arkansas Security Research and Education Institute, a security-focused multidisciplinary center at the University of Arkansas, hosted its first workshop on Sept. 21. The workshop drew representatives from leading industries in Arkansas and neighboring states, and University of Arkansas faculty from computer science and computer engineering, industrial engineering, and food science. Digital technology is everywhere and readily available more than ever, which brings security risks that affect everyday life for millions of people worldwide. These increasing challenges are met by insufficient security workforce. The September workshop focused on security research past and present, security workforce development and emerging needs for the future. Jia Di, director of the institute, said the meeting was a critical link between the University of Arkansas and industry partners. "Our meetings are important not only to provide updates on the research and education activities that are occurring in the institute, but also to provide a networking opportunity between our students and company members," he said. "These meetings allow our company members to see the potential of new employees being produced by the University of Arkansas." Serve as the Arkansas' source for communication and awareness of security threats, solutions, and needs.